Farmer, MLA (1875-1878), MLA (1878-1879). Born at St. Paul’s Parish, son of James Taylor, an Orkneyman, chief fisherman of the Hudson’s Bay Company and of his wife Mary Inkster. He was educated at Parish Schools of St. Paul’s at College under Bishop Anderson. In the year of the high water, 1852, he went to teach a Mission school at Oxford House at a salary of thirty pounds a year. He later taught at Norway House. In 1855, he was appointed by Bishop Anderson to the charge of the Parish School at Headingley. He bought his first land in 1856, a six-chain lot fronting on the Assiniboine River at Headingley. His neighbor here was Deholmme Sayer, son of William Sayer, the historic leader of the free trade riot in the settlement in 1845. 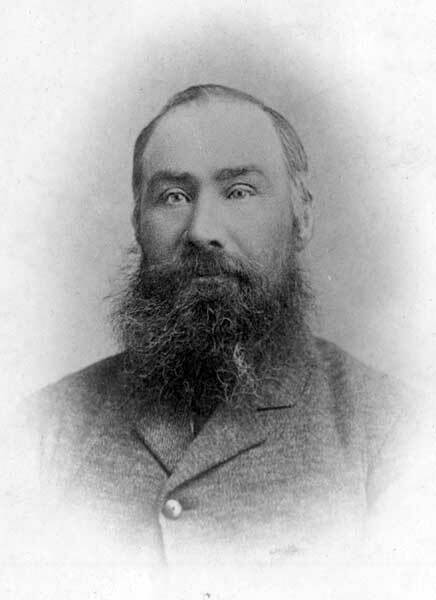 Taylor was elected to the Manitoba Legislature in 1874 and again in 1878. He was taken into the cabinet of John Norquay as Minister of Agriculture but was defeated in the 1879 general election. One of his early opponents was Donald Smith (Lord Strathcona). He was a school trustee for thirty years; secretary-treasurer of the school he taught in as a lad. He was a candidate in the 1891 federal general election, being defeated by Arthur W. Ross. Taylor passed away on 3 March 1925 at his home in Headingley. He is commemorated by John Taylor Collegiate in Winnipeg and a commemorative monument in Headingley.